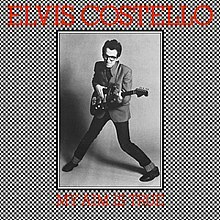 ELVIS COSTELLO: MY AIM IS TRUE: 1977: 5 STARS OUT OF 5 STARS: Outside of Beatle albums the first four Elvis Costello albums are probably the ones I have listened to the most. Back when Elvis came along I listened to his albums non-stop over and over and over. A friend of mine name Grant came to high school one day raving about this fellow with the strange name of Elvis Costello. His recommendation was so strong that evening I went to the local mall’s record store and bought the two albums this Elvis person had out- got home and immediately saw what Grant was raving about- this guy was great. My Mount Rushmore- The Beatles- Bob Dylan- Elvis Costello and Steve Earle. 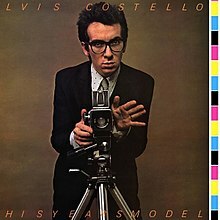 ELVIS COSTELLO: THIS YEARS MODEL: 1978: 5 STARS OUT OF 5 STARS: I loved the first album but with The Attractions joining in for the second album- musically this is more exciting than My Aim Is True. I have seen a lot of discussion over the years on songs that open albums- On This Years Model and Armed Forces I think Elvis has two of the great album closers- on this one Radio Radio and Armed Forces- What’s So Funny ‘Bout Peace, Love and Understanding. ELVIS COSTELLO: ARMED FORCES: 1979: 5 STARS OUT OF 5 STARS: Elvis is no weekender. His third album in three years. In his first decade he would release 11 albums in 10 years-and one every year but 1985. I go back and forth on what is my favorite EC album- I’d have to go with Armed Forces at the moment- with This Years Model a close runner up. Of my five favorite EC albums four of the five would be the first four albums- the other would be Imperial Bedroom. ELVIS COSTELLO: GET HAPPY!! 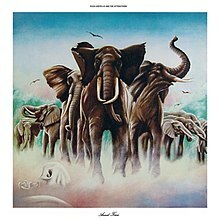 1980: 5 STARS OUT OF 5 STARS: When this album came out I was at a struggling point in my life- and this album Get Happy!! was one of the few things at the time that made me happy. A departure from the first three albums- much more R&B and soul oriented it sounded great on the first spin- as it does today. .. Get well Elvis. I think if push comes to shove- Oliver’s Army is also my favorite Elvis song! Yes, so many to choose from really. I like Alison off of the first album… I hope he gets better soon…I just found out. From what he is saying it sounds like an optimistic diagnosis- I don’t know what he was thinking in touring. Take it easy and get well Elvis. The touring can wait. Alison probably his most famous song? I remember hearing it in our drugstore in 1977…first song I ever heard from him…maybe the most popular or Peace, Love, and Understanding. I forgot about Veronica. I remember the Peace, love… video being played a lot when it came out. His early stuff got straight to the point…I liked that. Again another fact that is funny when you say it but sad. I like to listen to the American Top 40 reply on the 70’s on 7 every weekend today it was from 1979 and they were doing the top disco songs of the era for some reason. I turned it off. At the time I hated disco- but I must admit to liking most of Donna Summer’s hits and The Bee Gees- and certain songs.. not a fan of the mindless stuff like KC and The Sunshine Band…not to name any names or anything !